A modern comedy/film noir set around Melbourne, in which a struggling stand up comedian becomes a private detective to pay her rent – but will it be the death of her first client? 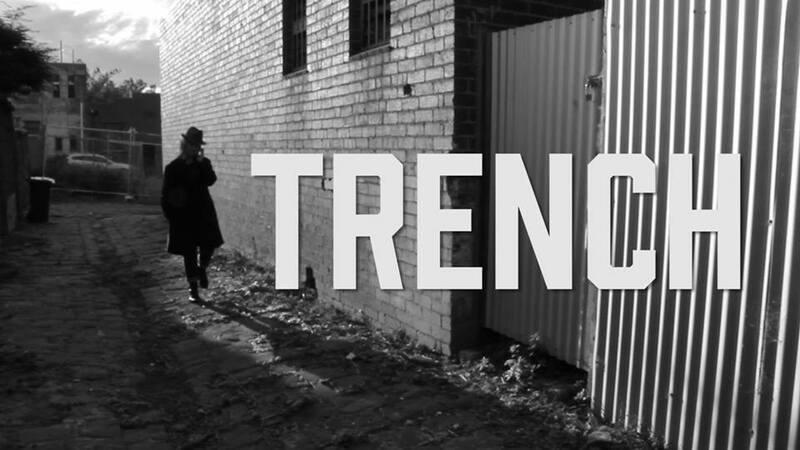 A modern melding of indie comedy and classic film noir, Trench is the fun, quirky and just a little creepy black-and-white vision of Melbourne you’ve always wanted to see! Sam Slade is a struggling stand-up comic whose life is a mess. Becky Holt is a writer with a secret. These two oddballs are thrown together when Becky experiences strange, increasingly threatening phenomena in her own home, and Sam, desperately needing cash, decides to assume the role of a private eye to crack the case. Having completed the Lean Filmmaking Accelerator program, and with a script that has been tested and polished, Cinema Viscera are ready to launch into production with their first feature film. With a great Melbourne cast and crew on board, and having undertaken an extensive rehearsal and development stage, Cinema Viscera is ready to begin principal photography in mid-April. With your help, we will be able to meet production costs such as equipment hire and location fees. We will also be able to costume our actors and keep our crew fed and energised during the long shoot days. Formed for the purpose of making feature films that provide original or inspired spins on classic genres, and pushing low-budget filmmaking in fun, interesting directions, with your support, Cinema Viscera will be able to complete the production stage of our first feature film.